If you’ve heard of apple cider vinegar, then you probably know that it’s a great help in the home as a natural cleaner. it’s safer for animals and children than most household chemicals, they can still get the job done. One of the biggest things that gets forgotten about apple cider vinegar, is that it can also help you to cleanse your body. People in the past were aware of the other powerful cleaning abilities present and apple cider vinegar. Today’s science has given us enough information to know how to use apple cider vinegar for autoimmune health. 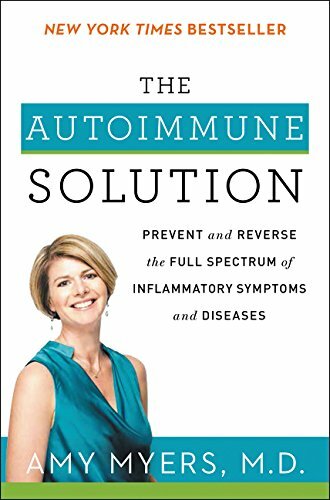 Inflammation is one of the key signs of autoimmune disease, and it can also be a trigger that makes the inflammation chronic. If you are a person who has a high stress job, and have a poor diet, with bad sleep habits, your chances of developing a disorder will become a certain reality unless you a genetically unable to experience this kind of illness. Processed foods like snack cakes and processed meats are convenient, but they usually lack the nutrition that the human body needs to actually be nourished. They also lack the thing needed by your gut bacteria to flourish and keep invading type of microorganisms at a level that your body can handle. When acidity in the body reaches high levels, and damaging bacteria begins to spread through your body, it creates a cyclical event that results in high levels of inflammation. This can manifest itself in painful swollen joints, extreme gut pains, gas, and bloating, but if allowed to continue for sustained periods of time, you could end up suffering from more life-threatening events like heart attack or stroke. This is possible because the delicate connective tissues can easily become inflamed, creating the perfect situation for a blood clot to get lodged within. If that happens in the wrong place, it could be the last time you reach for that gas station sausage. ACV help your body to make more stomach acids, which helps your body to break down foods and absorb more essential nutrients. In order for your body to be able to break down and use the nutrient in your food, you need gut flora, but it can’t exist if it’s been overrun by invasive germs and molds. ACV kills these agents, as well as providing a living food source called prebiotics for the probiotics in your body. This keeps them healthy and ready for work. These little organisms are more important than a lot of people consider, largely because part of your immune system is housed in the gut. Eating balanced healthy foods is important if you want to have a balanced system inside your body. Not only that, but anything being thrown out of balance can lead to painful swollen extremities and gut issues. Avoid processed foods as much as you can to prevent your body from passing small food particles into your blood. This could lead into a serious autoimmune disease where your immune system attacks any protein they come across. When you eat good balanced foods, you’re getting nutrients that your body needs to grow new healthy cells, but along with that you’ll also find antioxidants and many smaller particles like phytonutrients that your body can use to limit inflammation, and protect itself from toxins, spores, and radiation damage. That helps to protect you from developing diseases like autoimmune disease and cancer.